Katie Loxton's latest additions to her bamboo range is this magazine bag and we just know you'll love it too! 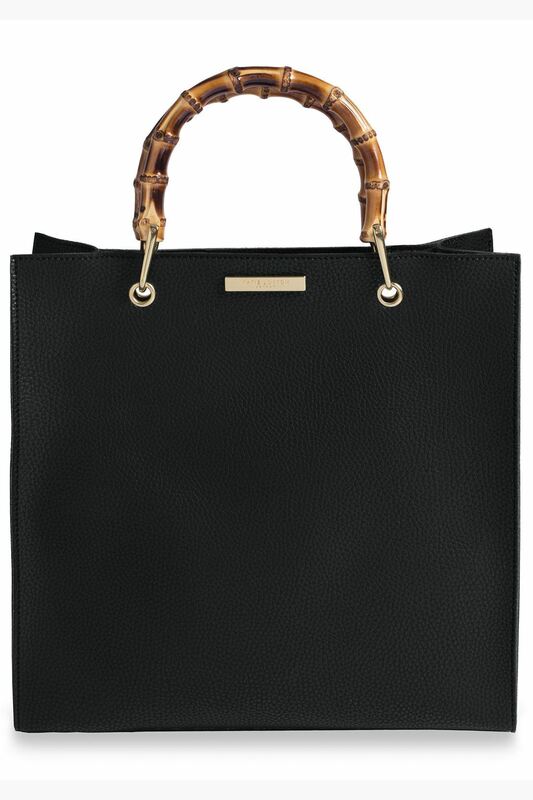 Similar to the best-selling Avery Handbag but in a new, more elongated shopper bag style, this cool black handbag has a soft leather-like saffiano surface, a gold zip fixture and is decorated with a matching gold logo bar. What really makes this bag stylish and special is the natural bamboo carry handles, meaning each and every bag is totally unique! Inside there's a small zip pocket for keeping smaller valuables safe. The perfect present or a tempting treat for yourself, this stylish handbag is part of the huge range of shopper bags, bucket bags, cross-body bags and more by Katie Loxton.